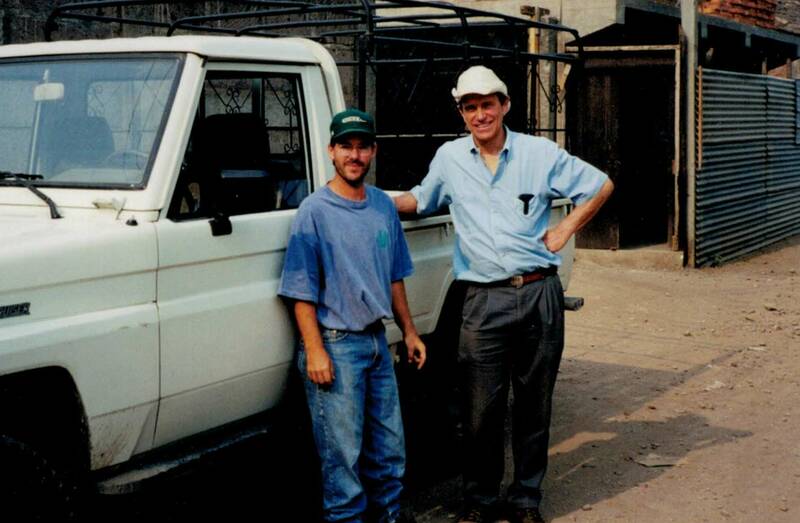 In response to the need for solidarity, education, and peaceful reconstruction after the decade long civil war in Nicaragua, in 1988, Todd Evans and Patrick Rickon participated in a Habitat for Humanity project to help build houses near Ciudad Darío, Nicaragua. On subsequent trips to Nicaragua, Patrick and Todd were deeply touched by the hope still alive in the poverty stricken region. Observing the basic need for school desks and education resources, they decided to work together to respond to the need. 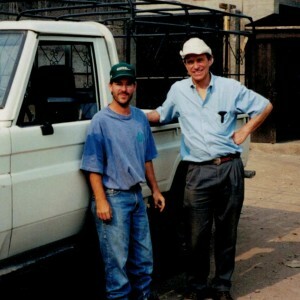 Todd organized support and the collection of educational materials in the United States, while Patrick worked with local community members to build rustic school desks out of scrap lumber from a Habitat for Humanity saw mill with the people of Puertas Viejas, Nicaragua. As the demand from surrounding communities for school desks increased, so did Patrick and Todd’s resolve to work longer-term in the area. Nicaraguan children, who previously sat on a dirt floor or a wooden stump at school, now had a desk. Local community members were able to participate in the construction of the desks as well, empowering them to become active participants in the development of their own communities. In 1991, SOL became an official nonprofit organization dedicated to enriching the future through education in the Americas. As the interest in supporting work in Nicaragua grew, so did SOL, enabling it to reach a wider range of education needs in Nicaragua. More school desks and adult literacy classes soon followed. 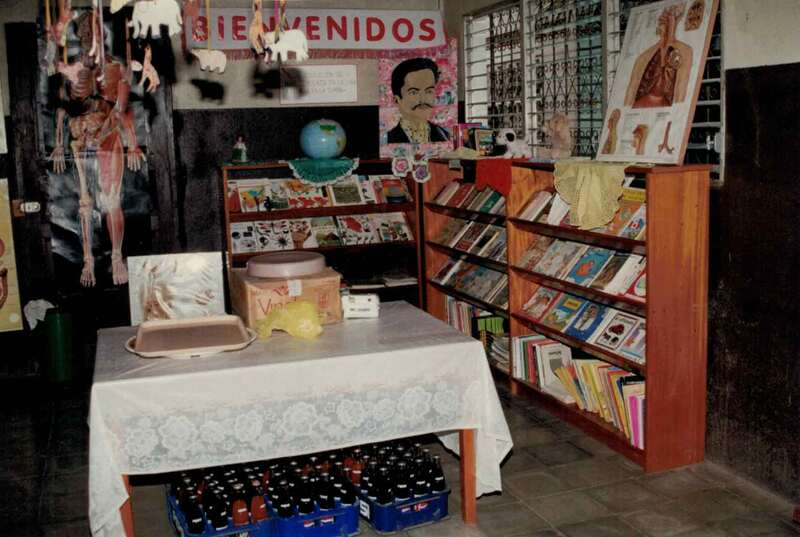 During the summer of 1992, twenty-one volunteers from Mendocino, California traveled to Nicaragua, to work together with community members of Playa de Moyua to build a one-classroom school. The success of this endeavor helped to establish SOL’s school construction and work group programs. Other needs continued to present themselves, especially in the area of education resources. 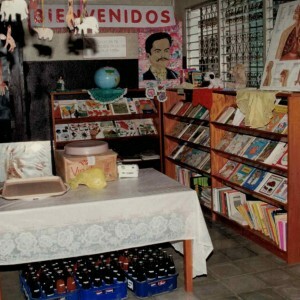 Following a community survey, in 1995, a pilot Learning Resource Center was opened in Ciudad Darío. Children, youth, and teachers, alike lined up around the block to wait for a chance to put together puzzles, read, or just marvel at the brightly colored storybooks. Soon, SOL added a reference area for older students, which included reference books, atlases, and dictionaries. Next came guitar classes, followed by sewing, embroidery, art, dance, and other music classes. Today the center is a popular hub of educational and cultural activity in Darío. 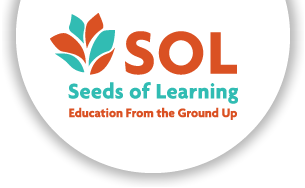 Beginning in 1996, SOL established a scholarship program to enable economically-impoverished students to stay in school. Today this program supports over 80 primary, secondary, and university students in Latin America. From its inception to the present time, SOL has given over 1,307 scholarships to students in Nicaragua and El Salvador. In 1999, responding to the invitation of the small post-war resettlement community of Las Minas, El Salvador, SOL began a school construction project. Finding needs similar to those in Nicaragua for rural schools and community development, SOL began working with local volunteer community members to establish school construction and scholarship programs in El Salvador. Although today, SOL does not sent volunteer work groups to El Salvador, we continue to operate a scholarship program. SOL has continued to grow and prosper. Today, approximately 350 volunteers from all over North America participate in our work group program each year. Together, USA and Canadian volunteers and Central American community members have built 216 educational rooms with 64 partner communities.